When it comes to Brand names, we all have a tendency to mispronounce them. Not that we can’t say the correct pronunciation, but since these brand names come from a totally different language, somehow we twist their pronunciation according to our first language. Another reason for such mispronunciation is the way they are written. Almost all international brands have English alphabets in their spellings and that’s where our tongues trip. • In Spanish, alphabet A is always pronounced as in the English word CAR. • Germans pronounce their W as English letter V.
I have this friend who is crazy about cars but not so much crazy about saying their name. He seems to know everything about them except for the correct pronunciation of their names. I’m sure many of you could relate to my poor car enthusiast friend. Wrong: ‘au-‘ as in the word AUDIT. correct: ‘au-‘ is pronounced like ‘oww‘ (the sound that you make when you are hurt). Wrong: shev-ro-let where ‘t’ is quite audible just like in the word LET. Correct: shev-ruh-ley. The ‘-ro’ is actually pronounced as in the word ROUGH while the syllable ‘-ley’ should sound like English word LAY which means ‘t’ is supposed to be silent. Wrong: Hyoon-dey. The ‘hu-‘ is wrongly spelled like in the word HUGE and to pronounce ‘-dai’ as in the word DICE would be incorrect here. Correct: Hun-dey, said almost like SUNDAY. Wrong: porsh. Sweet and simple but wrong. Correct: por-sha, just like the Italians would say. Wrong: re-nault where ‘nault’ is said like the word FAULT. Correct: re-no, the ‘L’ and the ‘t’ are silent. Correct: byoo-ik. Say the first syllable like you say in the word BEAUTIFUL. Wrong: sit-ro-in, the ‘o’ and the ‘i’ are not to be exaggerated. Correct: Seet-tro-en. Say the ‘en’ like you actually say the alphabet N and if you can, try not to pronounce the ‘r’. Correct: lan–sha, ‘cha’ is pronounced as ‘sha‘ as in the word SHARK. Wrong: bee-em-doublyu, just like we say the English alphabets. Correct: bee-em-vee. Germans, as mentioned earlier, pronounce their ‘W’ as the English alphabet ‘V’. Wrong: maa-say-rati, just like it’s spelt, but again that’s where we make the mistake. Correct: maa-zay–rati, the ‘s’ is pronounced like english ‘z’. 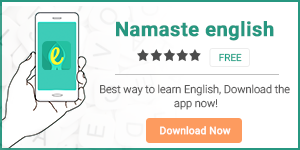 To learn more, download our ‘English to Hindi’ dictionary app HinKhoj. Next articleAnyway Vs. Any Way: Differences and Usage?